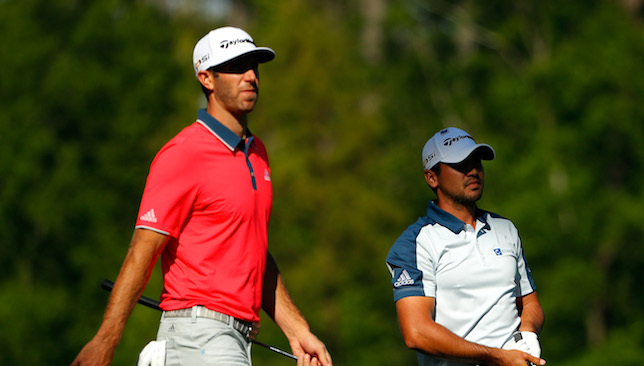 Title rivals: Dustin Johnson and Jason Day. This week’s Tour Championship stands out for two reasons – the smallest field in the sport (now that the NedBank Golf Challenge in Sun City has expanded to 72 players), and the possibility of winning the largest purse on Sunday (because the winner is almost 90 per cent assured of the $10 million FedEx Cup windfall). After changing the format several times, the PGA Tour seem to be happy with what they now have. Unlike the European Tour’s Race to Dubai, which truly reflects consistency of a player throughout the season, the FedEx Cup is completely skewed towards the four tournaments that comprise the Playoffs, especially the Tour Championship. Obviously, there is the added spice of the undecided American Ryder Cup wildcard, which will be handed over to one player after the dust settles at East Lake. So, who has the best chance to walk away with the combined cheque of $11.485 million on Sunday? And who will give the official American tailor a torrid time with urgent suit measurements for next week’s battle in Hazeltine? Everything points to an exciting contest between Dustin Johnson, the hottest golfer on the planet in 2016, and Jason Day, the most consistent player over the period of the last two years. World No. 1 Day has a bit of a question mark going into this tournament. He had to withdraw from the BMW Championship a couple of weeks ago with a back injury, but the Australian has time and again proven that he has the most amazing ability to bounce back from all kinds of physical problems. Given the fact that good putters have always enjoyed an upper hand at East Lake – some of the previous winners include putting maestros like Jordan Spieth, Jim Furyk, and Brandt Snedeker – it should play into the hands of Day, who is leading the overall putting stats this year on the PGA Tour. And yet, it is difficult to ignore Johnson, who won the BMW Championship and has been phenomenal this year from tee to green. He has finished fifth in his last two visits to East Lake, so he clearly feels comfortable on the golf course as well. Johnson is No. 1 in the FedEx Cup standings and Day fourth, meaning both are in control of their destiny. If any of the top-five guys win the Tour Championship, they also win the FedEx Cup. Patrick Reed, who lies second, and Paul Casey, in fifth, are also in good form, while No. 3 Adam Scott has lovely memories of East Lake, having won here in 2006. As for the Ryder Cup wildcard, captain Davis Love III may havedropped a major hint when he invited four players, who are not in the team, to practice with the rest of the team members at Hazeltine earlier this week. 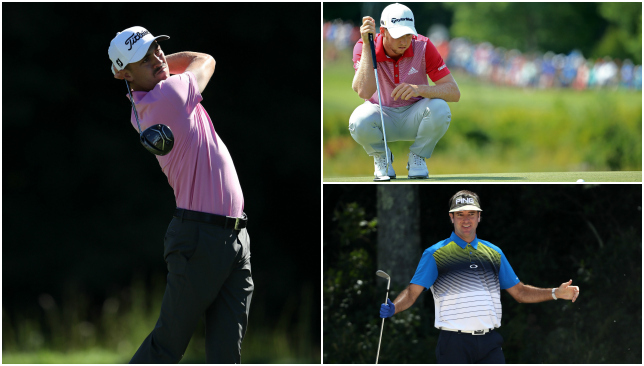 These four are Bubba Watson, Justin Thomas, Daniel Berger and Jim Furyk. This has led many to believe that Love is restricting his thoughts to these four players. With Furyk not in the field, the one who has the best finish in East Lake seems to have the best chance of getting the nod. But if none of them are in the top five, Thomas is expected to nick the 12th wildcard. Jason Day wanted to attend Ryder Cup as fan. Didn't know if he could walk inside the ropes. Think that territory reserved for player wives. This year’s Tour Championship at East Lake will feel different. That’s because the PGA Tour has decided to use the front nine as the back nine and vice versa. Until last year, East Lake was one of the very few courses in the world that had a par-3 as its closing hole. The 235-yard 18th had a novelty value, but very few tournaments were won here with a birdie on the final hole. This year, the hole that used to be ninth, the 600-yard par-5, will be the new 18th. It really makes for a more exciting finish. I am a big believer in par-5s as the closing hole because there is so much risk and reward involved. I’d rather have a player taking home the $10 million cheque after making an eagle on the 72nd hole than someone finishing with a par. Andrew Johnston – who once again proved he has a lot of game going along with a fun personality that is winning friends and influencing people the world over. 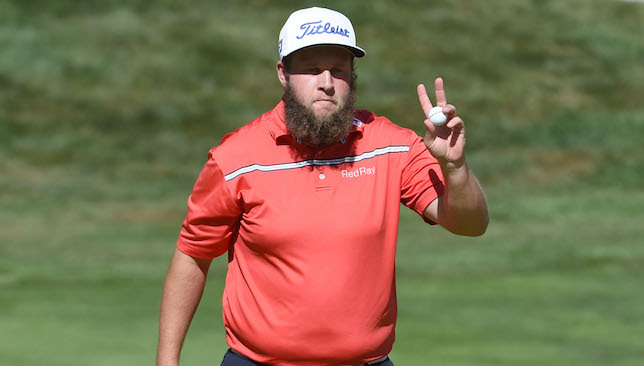 The Englishman, nicknamed ‘Beef’, finished fourth in the Albertsons Boise Open, the second of the four Web.com Finals and that is enough to earn him a card for the new PGA Tour season. Johnston already has exempt status in Europe for the next two years after winning the Spanish Open, and will join the league of Rory McIlroy, Henrik Stenson and Justin Rose plying their trade on both sides of the Atlantic. “I love Jack Nicklaus beyond belief, but I have to put Tiger down as probably the greatest player ever to play.” – PGA Tour Commissioner Tim Finchem when asked whom he considers the best golfer in the history of the sport. Will Davis Love III go for youth or experience? Team USA is one step closer to their Ryder Cup squad – three wildcards have been announced and the final player will join the roster on September 25 – but barring the fact that he did not opt for world No7 Bubba Watson, there were no real surprises. By naming JB Holmes, Rickie Fowler and Matt Kuchar – his No10, 11 and 12 from the standings – Davis Love III has effectively left himself with just one wildcard. If, at the end of the Tour Championship in Atlanta, it does turn out to be Bubba, the US captain would have made one of the most unimaginative wildcard selections in the history of the competition. There is a case for Bubba not being picked, even though he is perhaps one of the most ingenuous shot-makers in the game. The two-time Masters champion has been struggling with his form lately, unable to score any top-10 finishes since March this year. And he is yet to win a full Ryder Cup point in three appearances. Fowler is also going through a similar phase – he did not even qualify for the Tour Championship – while Kuchar’s last PGA Tour win was in April 2014. But Fowler and Kuchar have something that Bubba doesn’t – they get along well with everybody in the team. Bubba, who went public earlier this year about his psychological issues with several things, finds it difficult to fit into team situations. So, who will be Love’s last pick? Obviously, if any of the Americans not already in the team wins the Tour Championship, he’d be difficult to ignore. But it would be an idea to opt for someone who has not felt the American pain in the Ryder Cup – a rookie. Even at Gleneagles last time, we saw how the younger brigade responded with so much enthusiasm and aggression. At the moment, Brooks Koepka is the only rookie in the US team. Either Justin Thomas or Daniel Berger would be a great addition. Kuchar, in the press conference, hinted Love can still pick Tiger Woods, now that the 14-time major champion has announced his comeback. That, I can assure you, is nothing more than wishful thinking. Speaking of Woods’ comeback, that was the biggest news in the golf world last week. Woods said he hoped to play theSafeway Open (October 13-16), the Turkish Airlines Open (November 3-6) and the Hero World Challenge (December 1-4). The man who was world No1 for a record 683 weeks, will return ranked below 800 (he is currently 726), but that has failed to dampen the spirits of the fans. Everybody wants him to be back – the fans, the media, the broadcasting channels, the sponsors and the equipment industry. Already, his absence is being blamed as the main reason for the demise of Nike Golf. However, everyone needs to also understand that this certainly won’t be the Tiger we are used to seeing. With three back surgeries, this will be a Tiger who will always be wary of his fragile body. He will need a lot of time to get back to tournament fitness. Hopefully, Tiger will be a force again. But if his back ditches him again, I won’t be surprised if he gives up the sport for good. Just how good has Dustin Johnson been this season on the PGA Tour? Following are the stat categories he is leading after winning the BMW Championship last week: Top-10 finishes (14); FedExCup race; driving distance (314.2 yards); Birdie average (4.45 per round); Scoring average (69.17); official money list ($9,067,685); Birdie or better percentage: (36.61 per cent); total eagles made (16) and par-4 scoring average (3.96). No wonder Johnson is considered a lock-in for the Player of the Year honours. There was never any doubt in my mind that the man who is called ‘The Scientist’ is headed for legendary status in the game. The young American has now secured the right platform to showcase his skills, effectively sealing his PGA Tour card for the new season by winning the DAP Championship, the first of the four-tournament Web.com Finals. Top-25 players from the mini Order of Merit Web.com Tour Finals will get their cards, and anyone finishing in the top-three in any of the tournaments is virtually guaranteed a place. First Lady Michelle Obama gives an insider tip to Golden State Warriors star Steph Curry on trash talk which will help get under President Obama’s skin while playing golf. Just tell him the shadow from your ears is really messing up my putt. Ready for a comeback: Tiger Woods. 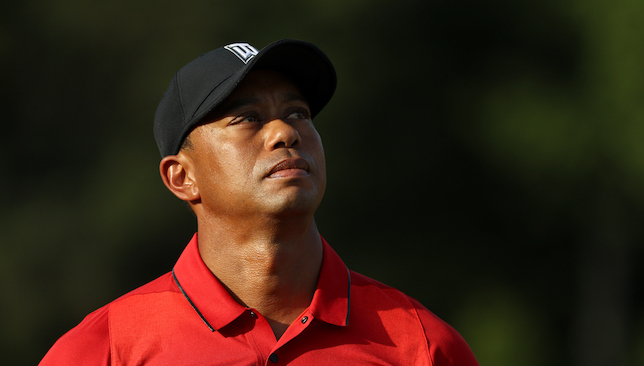 Tiger Woods hopes to return to competitive golf next month. The former world number one has been out of action since August last year due to serious back problems which have required surgery. The 40-year-old has announced his intention to compete at the PGA Tour’s Safeway Open in Napa, California, in October. That will come after returning to the course in a more informal setting, at the Tiger Woods Invitational on the Monterey Peninsula, California, three days earlier on October 10. If all goes well, Woods also hopes he can play in the Turkish Airlines Open in Antalya in November and the Hero World Challenge, hosted by his own foundation, at Albany in the Bahamas in December. Woods said: “My rehabilitation is to the point where I’m comfortable making plans, but I still have work to do. Whether I can play depends on my continued progress and recovery. My hope is to have my game ready to go. It was thought Woods may not play on tour this year after he withdrew from the Open and the PGA Championship in July. The 14-time major winner had entered those events as a matter of routine but said his physical condition was not ready for tournament golf. He stressed the importance of taking his time and cited previous bad experience of rushing comebacks. Since then updates on his condition have been scarce but he is now pleased with his progress. Woods’ last appearance came at the Wyndham Championship in August 2015, where he finished in a tie for 10th. In his absence he has slid to 711th in the world rankings. He will be back at the Ryder Cup later this month as he serves as a vice-captain for the US team.